Automated Parking Systems: Small Parking Spaces. Big Cars. The German newspaper, Die Welt (the world), ran an article, in August 2014, about a growing problem involving parking spaces, particularly in Germany: the parking spaces are too small. Spaces in many parking facilities were on the small end of the size spectrum when built. As car sizes continue to increase, what was originally an adequate parking space size has become problematic. By way of example, the article points out that the Volkswagen Golf, the best-selling car in Germany, has little extra room to park in a typical space…even opening car doors can be difficult. The point of the article is that the small size of parking spaces results in minor to major damage to many cars. The article also notes how newer, larger cars can limit visibility crucial to maneuvering in tight spaces. Some optimism is offered about the proximity sensors, cameras and other collision-avoidance features found on high-end cars. It is suggested that a 360-degree view outside the car could help prevent scrapes and scratches, however that assumes the driver (or the car) could act quickly enough. Sophisticated the onboard “damage prevention” devices may help the driver avoid damage to his/her own vehicle, however they can’t protect against another source of damage resulting from small spaces: other drivers. Small parking spaces increase the likelihood of damage from acts as simple as opening car doors. What is a car owner to do about small parking spaces? Accept damage as part of the cost of parking? Expect that insurance companies will continue paying for car damage without increasing premiums? Furthermore, what are parking facility owners and insurance companies to do about increasing damage and car sizes? Facility owners could “redraw” the lines and make parking spaces larger. However, this serves to reduce the total number of parking spaces available and raises many potential problems and possibility of permitting violations. Insurance companies might exclude coverage of parking area damage, but this would certainly be very unpopular with policyholders. There appears to be no quick or easy solution unless car sizes decrease instantly and universally…not likely. There is no indication the overall trend towards larger car sizes will reverse soon, if ever. 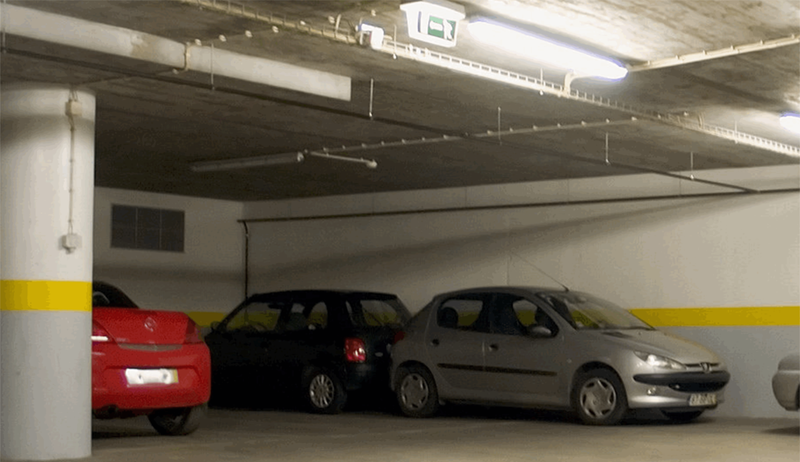 The small parking space…big car problem is but one of many parking-related challenges facing urban planners, property developers and facility operators…not to mention car owners. Automated parking systems (APS) are very viable solutions to virtually all parking-related problems such as those of small parking spaces and car damage while parking. APS eliminate parking space size and vehicle damage as issues for all stakeholders while also permitting more parking spaces in the same land area as car parks and conventional parking facilities. Skyline Parking supplies automated parking systems throughout Europe with sales offices in France, Germany, Netherlands, U.K., Spain, Switzerland, in the Balkans, Turkey and Moscow. Skyline has answers to the small parking space…big car problem.